Posted on June 27, 2012 by Thomas D. Shults, Esq. On June 27th in the case of The United States of America v. State of Florida, et al. 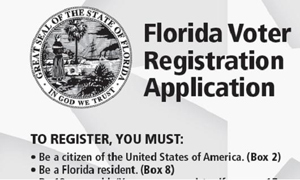 Federal District Judge Robert Hinkle denied a motion filed by the U.S. Department of Justice to stop Florida’s efforts to remove non-citizens from the voter rolls. 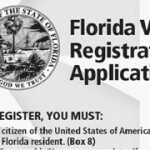 According to reports, the Judge ruled that the National Voter Registration Act of 1993 does not prevent Florida from removing non-citizens from the rolls even within 90 days of the August federal primary. The court’s written order will be posted when available. READ THIS UPDATE. This entry was posted in Florida Voting Issues, Litigation Updates, News, Voter challanges, Voter registration and tagged florida election attorney, Florida election controversy, Florida election disputes, Florida election law, Florida election lawsuit, florida election problems, Florida election suit, Florida vote challenges, florida voter registration law, non-citizens vote florida, Thomas Shults, Tom Shults, voter registration. Bookmark the permalink.